Image courtesy of the OPW. 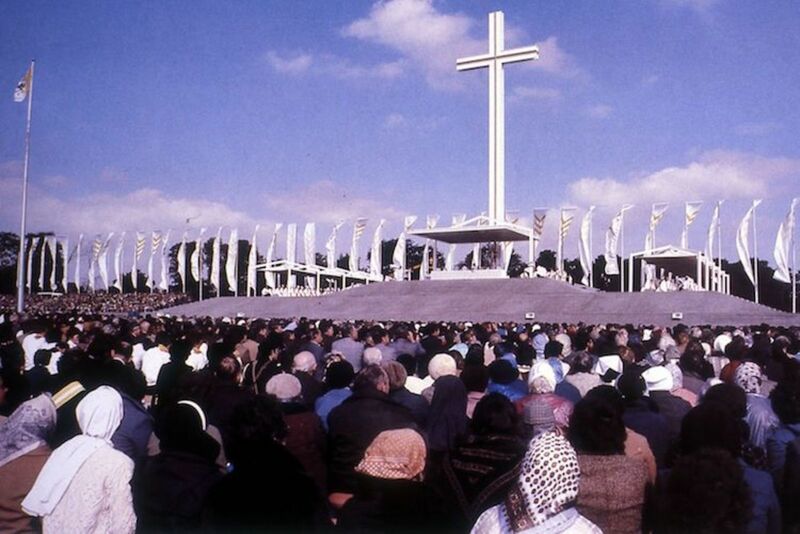 The papal cross in the Phoenix Park loomed over a million people on the afternoon of 29 September 1979 when Pope John Paul II celebrated mass there on his visit to Ireland. At 116 feet tall, the purpose-built structure designed by architects Scott Tallon Walker was supposed to be temporary. Nearly 40 years on – and with Pope Francis’s visit fast approaching – it still stands off Chesterfield Road. The passage of time is one reason why. But the former taoiseach, Charles J. Haughey, also played his part, says former Irish Times Environmental Editor Frank McDonald. The papal cross, built of painted steel beams, stands at the centre of a flight of stone-clad steps. The “landmark monument” was “a considerable feat of engineering, rather than a piece of sculpture”, according to the National Inventory of Architectural Heritage. It is a reminder of a significant moment in Irish history and, as such, “is of considerable social and religious importance”, the website notes. But it wasn’t supposed to become a lasting symbol. That’s because it was never sought, says McDonald. It was supposed to be a “temporary structure”, he says. 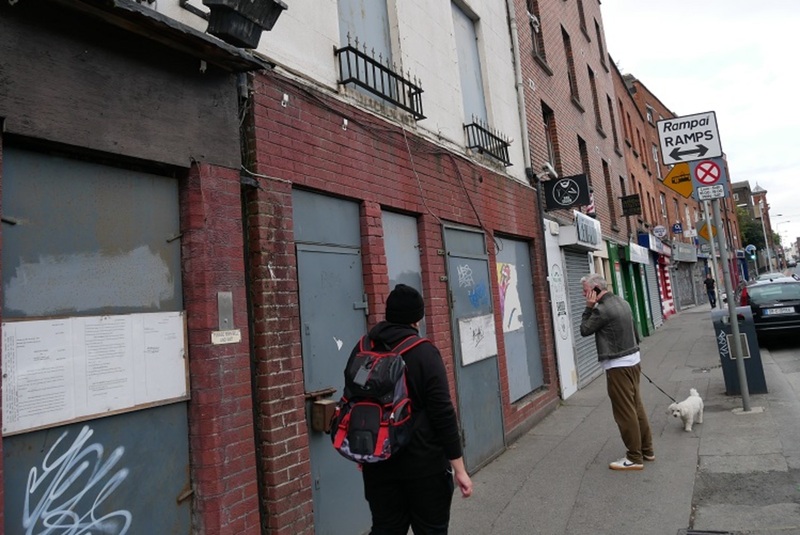 Under the Local Government (Planning and Development) Act, 1963, temporary structures were exempt from normal planning rules, says a spokesperson for Dublin City Council. 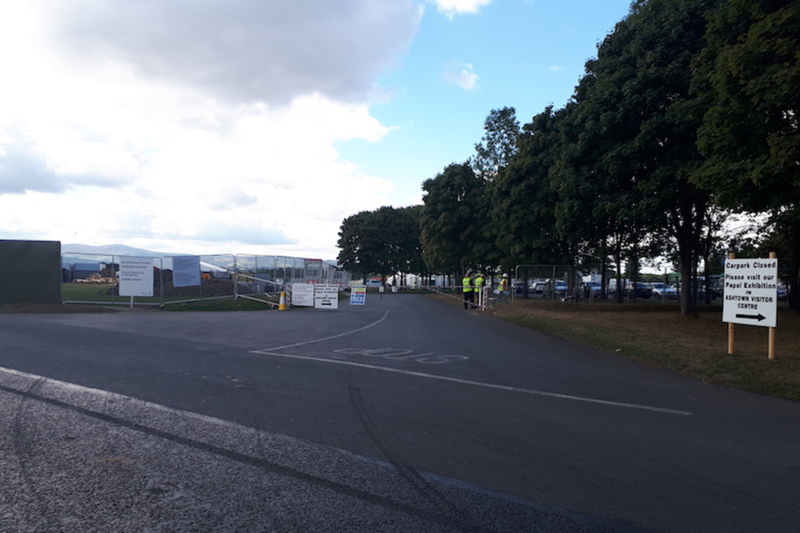 Instead, the Office of Public Works (OPW), which manages Phoenix Park, just had to consult with the council – which at the time was Dublin Corporation – about it, the spokesperson said. Preparations in Phoenix Park. Photo by Cónal Thomas. Pope John Paul II’s visit took place over three days, with the late pontiff travelling across the country. An estimated 2.5 million people attended various events throughout his visit. On this month’s visit, the current Pope Francis is also scheduled to perform mass under the papal cross – on 25 August. But some are calling for reminders of Pope John Paul II’s visit to be dismantled. A recent petition, signed by just 112 people by the time this was published, demands that the papal cross be removed from the park ahead of the pontiff’s visit. But even though the cross didn’t originally have planning permission from day one, it has been legalised since. Dublin Corporation wrote to the OPW on 23 January 1981 “stating that the planning authority sees no objection to the retention of the papal cross at Phoenix Park”, said an OPW spokesperson. In other words, Dublin Corporation – now Dublin City Council – said it could stay atop its stone-clad steps. 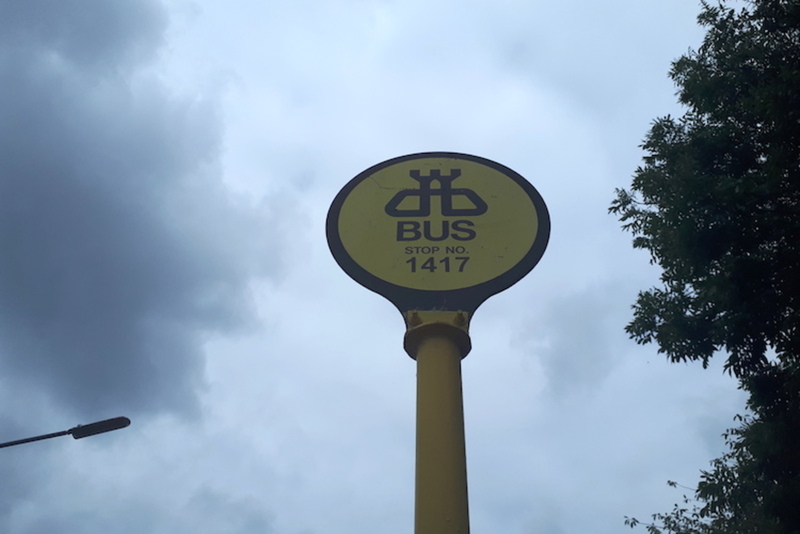 Besides, says the council spokesperson, “the papal cross has been in place for more than seven years and is exempt from any enforcement action”. McDonald says he believes there was some behind-the-scenes manoeuvering, too. After John Paul II’s visit to Ireland, then-Taoiseach Charlie Haughey took a close personal interest in developing the site around the cross, wrote Joe Humphreys in the Irish Times in December 2012, based on state papers that had recently been released. Haughey wasn’t the biggest fan of the papal cross, but he changed his mind following a meeting with then-Archbishop of Dublin Dermot Ryan, he writes. It wasn’t just Ryan who impressed upon Haughey the significance of the holy monument though, says McDonald. 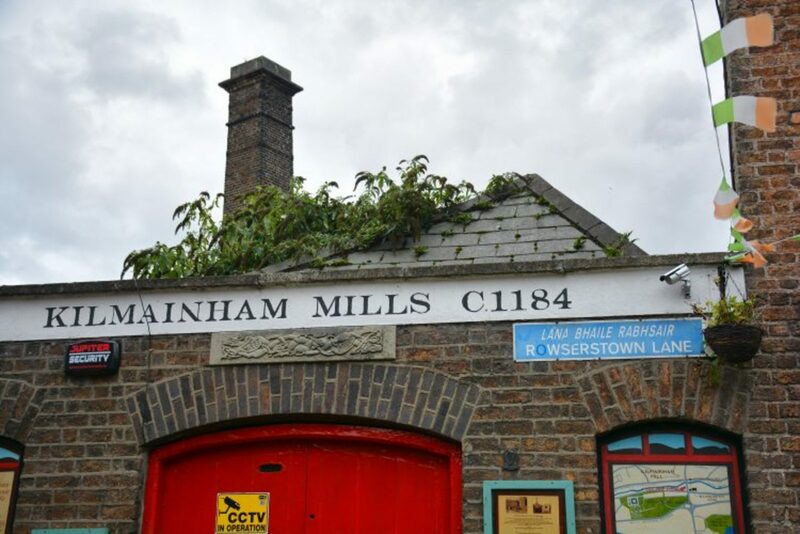 A new exhibition at the Phoenix Park visitor centre chronicles Pope John Paul II’s visit and recounts the mammoth task of transporting the papal cross across the River Liffey from J and C McGloughlin steelworks in Inchicore. It had been designed by the late Ronnie Tallon, an influential architect. “Ronnie was appalled to learn that the OPW planned to take it down and mentioned this to the then Taoiseach, Charlie Haughey,” says McDonald. “…designed by the late Ronnie Tallon” A couple of crude I-beams bunged together. “Designed” is maybe overstating it a bit. 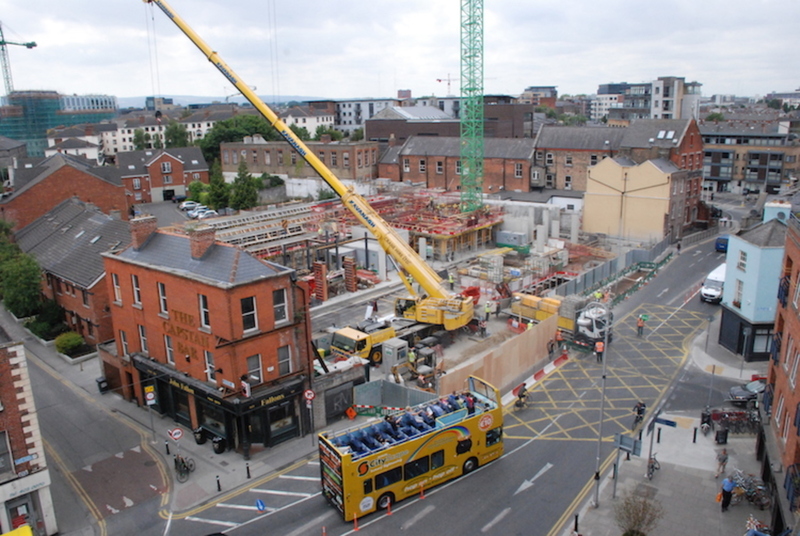 And what caused the architect to be “appalled” that the OPW planned to take the cross down I’d like to know? It’s not worthy of a longterm monument, even leaving religion out of it.